Conflict between humans and wildlife over resources is an urgent threat to primate species in Africa. As humans expand into and encroach upon wild habitats, primates are caught in the crosshairs. PASA educates global communities about the industries perpetuating the destruction of the forest homes of these important animals. 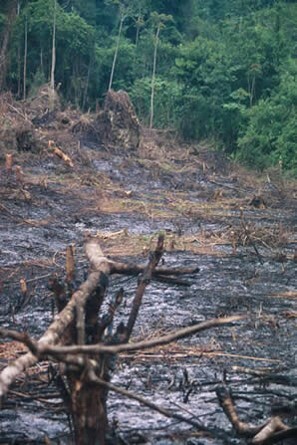 Agriculture, logging, and mining are among the major causes of habitat destruction for primate species in Africa. Africa’s growing human population demands more farmed land for food production. 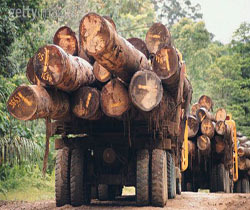 Forest is clearcut for construction projects and pulp for paper products. The mining industry exploits wilderness for gems, metals and rare earth elements such as coltan (which is used in mobile phones and other small electronics). A newer, pressing threat is the clearing of forest for palm oil plantations, an industry that has already devastated forests in Southeast Asia. Palm oil is an efficient, cheap resource that is commonly used in a wide variety of products from processed foods to soaps and cosmetics. Nearly 50% of what you find on a Western supermarket shelf contains some form of palm oil. 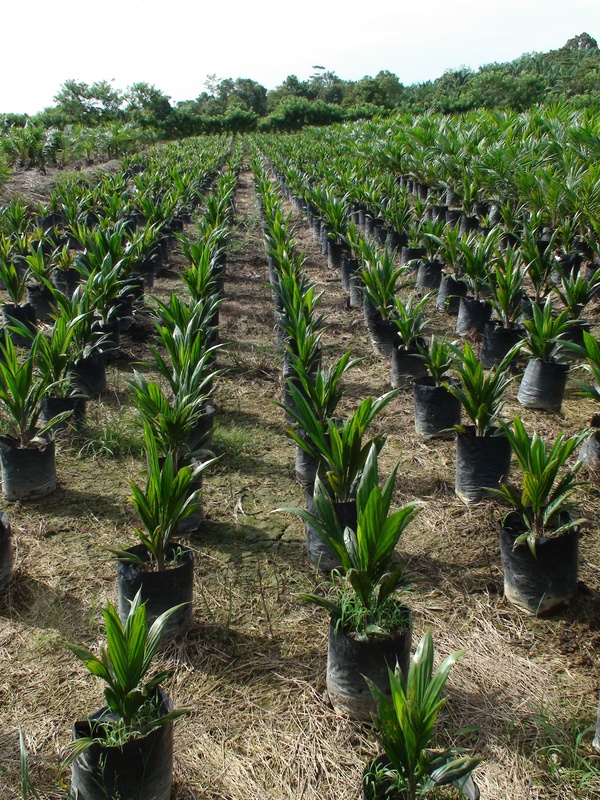 Demand for palm oil is steadily growing at an alarming rate. Unfortunately, because palm oil is so versatile and inexpensive, forests all over the developing world including Africa are being decimated to accommodate palm oil plantations. This is currently a highly unsustainable practice and is a danger to struggling wildlife populations, local communities, and ultimately entire ecosystems. You can download a wallet-size guide to products containing sustainable palm oil as well as a palm oil app. PASA members advocate for conservation of primate habitats and the establishment of new protected areas across Africa. Help PASA and our member organizations protect the remaining populations of wild chimpanzees, gorillas, monkeys, and bonobos!